I am not a seamstress. I wish I was, but I'm not. 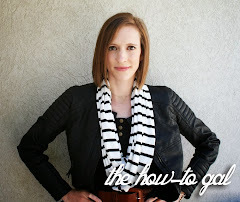 However, true to How-To Gal's motto, this project is something ANYONE can do. I have wanted place mats for my new table but couldn't find ones that I liked. The time to take the plunge arrived and I made my own! Found two complimentary fabrics and created a double sided masterpiece! 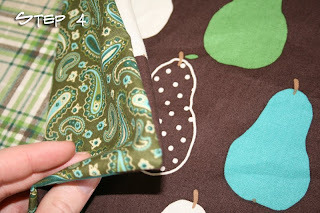 1 1/2 Yards of 45" wide fabric two- different kinds (if you want double sided) The amount of fabric depends on the size of place mats you make and the number needed. I made six and had a little of each fabric left over. 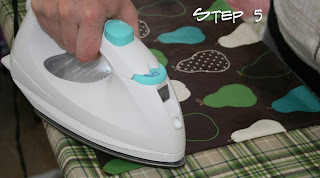 Cut fabric into size of place mats you desire. Mine are 16" x 8 "
Sew around place mats with a 1/4" seam allowance. Don't sew it completely shut, leave 3"-4" open. 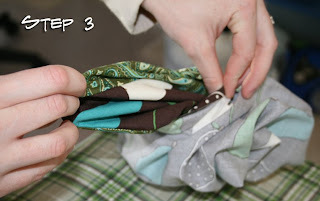 Helpful hint: leave a side open as opposed to a corner-it's easier to complete the project. Iron flat. 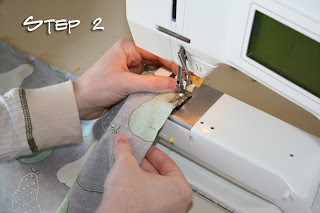 If you would like, sew around the edges again with a complimentary colored top stitch. Fantastic place mats in the fabric of your choice! Cool idea. I like the idea of the mason jars. reminds me of when i was a kid. I'm going to go get some now. I am so glad you have this tutorial! 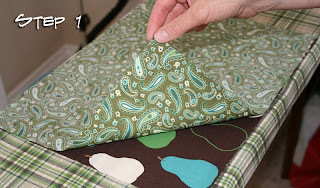 I have a hard time finding placemats that I really love and now I can make some with any of the cool fabric I want! You rock. I'll definitely be featuring this! Comin over from UCREATE... great tutorial. Love your fabric! I love the Mason jars! 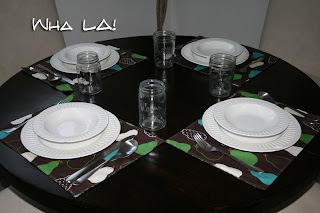 I've been looking for the Mason jars with handles to use! Love this! Best part is you can make any color/style and size. We have a tall counter height square table that seats 8 comfortably - but not 8 regular sized placements. Time to go fabric shopping! perfect! I have been looking all over for something simple like this!!! LOVE IT! Headed out to make some Christmas ones! Just made mine with some variations. I did a 16" x 12". Thanks for the great pictures and detailed instructions. Ooo! I would love to see pictures! Using outdoor fabric would be ideal.. It’s also water resistant.